The Learning Revolution Project highlights our own "conference 2.0" virtual and physical events and those of our over 200 partners. We also highlight good conversations about learning taking place between educators, learners, leaders, and others from the school, library, museum, work, adult, online, non-traditional and home learning worlds. The Internet is shifting the boundaries of these worlds, and we believe that as they increasingly overlap and integrate these conversations will be critical to framing and preparing for the learning revolution starting to take place. "Reinventing the Classroom" Starts Wednesday Evening!. Come join our free online conference this Wednesday evening and all day Thursday. Amazing keynote speakers and presenters--see details in the calendar listings below or at the website. "Reinventing the Classroom" Call for Volunteers. We've got an amazing, and FULL, schedule for this week's Reinventing the Classroom event - all about how ed tech is reshaping the classroom experience. We could really use your help as a volunteer to make sure we can provide as great an experience for presenters as we do for attendees. Never used Blackboard Collaborate before? No problem! Join us for a training session and we'll show you all you need to know to be a great volunteer. Please join the volunteer group and sign up for times that you're able to help. Looking forward to seeing you there! Global Education Conference Call For Proposals Opens May 1st!. We're excited to announce that the fifth annual Global Education Conference call for proposals is now open! Choose from six conference strands, and plan to submit early! We will begin accepting proposals on June 1st, and earlybirds will have the first priority of choosing the time slot for their session. Conference co-chair, Lucy Gray, has created a few great flyers for you to use to help promote this amazing event in your own publicity channels - the Call For Proposals Flyer to encourage potential presenters, and a more general Global Education Conference Flyer to provide an overview of this event for conference attendees. Don't forget that we'll be at ISTE in Atlanta on June 28th hosting Global Education Day! We can't wait to see you there. Ed Tech Month - Free Webinar Series by PowerUp WHAT WORKS. Ed Tech Month kicks off on May 1st! Have you checked out the FREE ed tech webinar series that is being presented by PowerUp WHAT WORKS? Topics include: Personalize Your Math Professional Development, Learn About Differentiated Instruction and UDL, Personalize Your ELA Professional Development, and more. PD certificates will be available through the Learning Revolution. The first webinar of the series will be held next Thursday, May 8th, from 3:30 - 4:30pm EDT on "Personalize Your Math Professional Development." Please be sure to share this opportunity with your fellow educators, we don't want you to miss out! 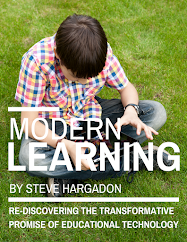 The Learning Revolution will be providing PD certificates for those who complete the series. Show off your PD! Don't forget that you can also share local ed tech events using #edtechmonth. Visit www.edtechmonth.com for more information. Reminder: MiniCon May is Sunday, May 4th 9:30am - 1pm EDT. This is our last half day free online event to prepare us for July 11-13th official online conference. We will feature guest poet Chaouki M'kaddem, keynote speaker Steve Wheeler, a technology smackdown event that anyone can sign-up for, and seven mini-presentations that give you a sneak peek at what to expect at our annual Reform Symposium Free Online Conference (RSCON5), that will take place July 11-13th, 2014 and feature 60+presentations, 2 plenaries, 10 keynotes, student presenters, and much more. More details and schedule here. CoSN CoSN (the Consortium for School Networking) is the premier professional association for district technology leaders. For over two decades, CoSN has provided leaders with the management, community building, and advocacy tools essential for success. 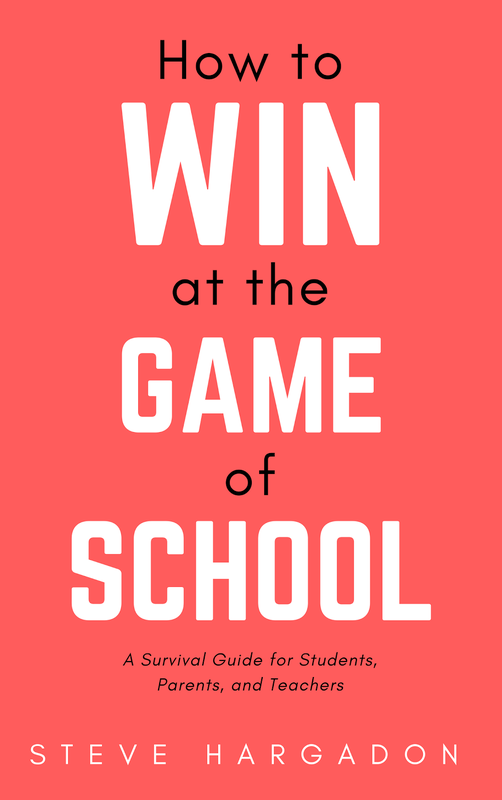 Today, the CoSN community represents nine million students in school districts nationwide and continues to grow as a powerful and influential voice in K-12 education. More information at http://www.cosn.org/. Wednesday, April 30th in Binghamton, NY CoSN 2014 New York CTO Clinic, Join us for the first annual New York CTO Clinic! Our full-day professional development event will bring together ed tech leaders from your region to network and problem-solve. As always, guests from other states are welcome to attend. Learn more and register here. Wednesday, April 30th at 4pm Free BrainPOP Webinar: ELLs and the Common Core, Are you an ESL teacher struggling to address the Common Core? This webinar explores the ways you can harness BrainPOP ESL’s offerings to better equip your ELLs for the rigors of these new standards. Bev Fine, BrainPOP ESL’s Editorial Director, will be on hand to help you make complex material and vocabulary more accessible to all students. Join here. Wednesday, April 30th at 7pm Reinventing the Classroom Preconference Keynotes, Join us at Wednesday evening for three amazing keynotes: 7pm Vicki Davis on "Reinventing Writing," 8pm Anne Mirtschin on "The Amazing e-Classroom," and 9pm Travis Allen on "Becoming a Mobile Learner." View the conference schedule in your local time here. Wednesday, April 30th at 9pm Teachers Teaching Teachers, Weekly conversations hosted by EdTechTalk, a collaborative open webcasting community. For more information, click here. Thursday, May 1st Reinventing the Classroom, Join us for a full day of presentations, including keynote speakers: 7am Shelly Sanchez Terrell on "Byte-Sized Potential in a Digital World of Possibilities," 12pm Steve Anderson on "Formative Assessment In The Connected Classroom," 3pm Barnett Berry on "How Teacherpreneurs Can Reinvent the Classroom," 5pm Rushton Hurley on "First Steps Toward Reinvention," and at 9pm, closing keynote Julie Evans. Also featuring special sessions by distinguished speakers Howie DiBlasi, Chris Haskell, Jennifer Barnett, Nicole Tucker-Smith, Troy Hicks, Bill Kist, Jeff Piontek, and Gary Lopez. See the session schedule in your local time here. Friday, May 2nd in Boston, MA The Path to Digital Citizenship - Tech Forum Boston, In this session, panelists will describe the concepts and skill sets necessary to prepare students for a digital and information-driven education, and the strategies they use for teaching these concepts. Learn about addressing student privacy and up-to-date acceptable use policies that include social media. 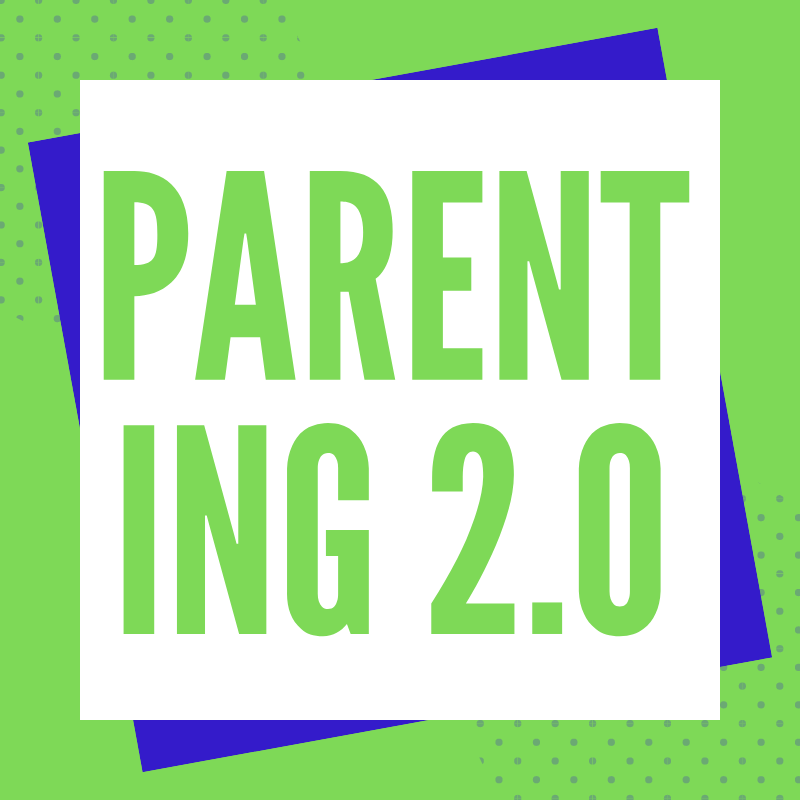 In addition, panelists will share ways they reach out to the parent community to share concepts of digital citizenship and to empower parents to become partners in the process of educating our students. More information here. Saturday, May 3rd at 12pm Classroom 2.0 LIVE Weekly Show, Classroom 2.0 LIVE is an opportunity to gather with other member of the community in regular "live" web meetings. Follow #liveclass20 on Twitter and visit http://live.classroom20.com for weekly details. Sunday, May 4th at 9:30am Reform Syposium MiniCon May, This is our last half day free online event to prepare us for July 11-13th official online conference. We will feature guest poet Chaouki M'kaddem, keynote speaker Steve Wheeler, a technology smackdown event that anyone can sign-up for, and seven mini-presentations that give you a sneak peek at what to expect at our annual Reform Symposium Free Online Conference (RSCON5), that will take place July 11-13th, 2014 and feature 60+presentations, 2 plenaries, 10 keynotes, student presenters, and much more. More details and schedule here. Sunday, May 4th at 8pm I Have a Question EdTechWeekly, Weekly attempt to crowdsource answers to education questions from our community of communities. Tag your questions #eduquestion or post them on our Facebook page or Google+ community. Monday, May 5th at 8pm TL Virtual Cafe - Show Me The Data!, Learn how to collect and share data that connects your library to student learning. Details and instructions for participants here. Ed Tech in the Art Classroom. Carolina Kaufman shares the first installation of the Art Institute of Chicago's series on technology in art education. Have you been using technology in your classroom? When is technology vital to teaching and learning, and when does it get in the way? Have you thought about how technology contributes to learning in and through the arts? Check out the Google Hangout on Air session and hear from experts in the field as they discuss these questions. Booktrack: An Immersive Reading Tool. Karen Cameron introduces us to Booktrack, a free web application that syncs digital books to audio, resulting in an immersive reading experience. Synced ebook, audiobook, and music lets the reader follow along with the narrator, allowing the reader to control the pace at which the text is read. As Karen described, this is a great tool for creative narrative writing, or read-alouds where students can add music and other creative details to their writing. This also seems like a great tool for foreign language learners, bridging the gap between listening to and reading in a new language. Thanks, Karen! Working at a World Class Aquarium. In case you missed Katy Scott's recent post, she's announced that the Monterey Bay Aquarium is searching for an Ed Tech Specialist. Classroom teachers or informal after-school educators with hands-on ed-tech experince are perfect for this position. Does this sound like you? Check out Katy's post for more details. Thanks for sharing, Katy! Conversational Competency and 21st Century Skills. 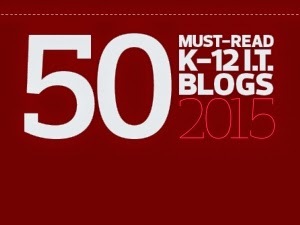 Laurie Corzett shared this recent article written by English teacher, Paul Barnwell. He finds his students struggle with real-time dialogue, which he attributes to their constant immersion in the digital world at their fingertips. Barnwell suggests that we develop a methodology for teaching students how to effectively navigate between virtual and physical environments, particularly as it relates to conversational skills. This may remind many of us of our friend, Harry Tuttle, and his great work around Modern Language Learning. In many of his talks, he describes exercises that increase language fluency -- seemingly a natural fit for Barnwell's concerns about poor conversational skills. What do you think? Share your thoughts with Mr. Barnwell here. Home Based Learning and Entrepreneurism. Chris Chadbourne is looking for information about entrepreneurial lessons for home based learning teachers. Budding entrepreneurs used to start their education with a lemonade stand in the driveway. Has domestic pedagogy built on that wonderful experiential foundation? If you have any suggestions for Chris, leave him a comment here. More About Flipped Learning: A Student Perspective. Regina Brown shares this article written by teacher and blogger, Marcus. Students describe the flipped learning experience as one that allows them to move forward at their own pace, and encourages them to learn and explore on their own time. While their classroom has a traditional syllabus, the flipped learning method encourages them to work ahead by exploring resources outside of the classroom. The really neat thing about this article is that the students are teaching each other about new topics outside of the classroom, and likely are sharing with their siblings and friends who aren't in their classes. Perhaps the real value of the flipped classroom is the potential for peer-to-peer learning and information sharing in friends' backyards, at sleep-overs, and on the basketball court.